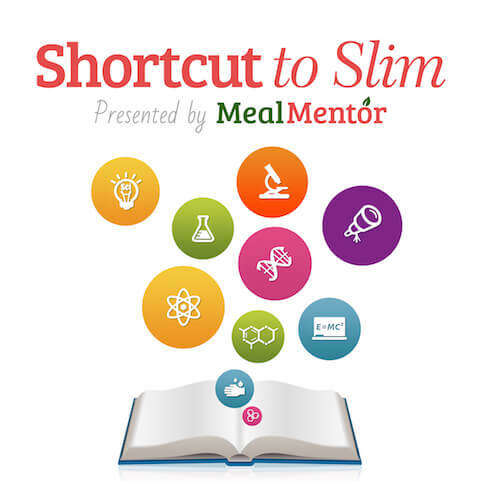 Welcome to Shortcut to Slim a research-based podcast on dieting and nutrition, brought to you by https://www.getmealplans.com. I’m your host Lindsay S. Nixon. To formally end Season 2, I wanted to share with you my research I worked on all summer. If you struggle with negative self-talk, have or have had depression in the past, struggle with feeling happy most days, OR you’d simply like to improve your mood, feel more confident, feel happier/less depressed, and naturally improve your strength and coordination without going to the gym or “working out”, keep listening. Alright I buy all this stuff, totally. I TOTALLY get it! It makes sense... buuuut I don’t know how to APPLY it. Where do I really go from here? All of the information, insight, slogans, tips---super helpful yes---but I wasn’t remembering them in the moment. A good analogy was someone enlightened me that the reason my toilet wasn’t flushing was because it was clogged and I needed a plunger to unclog it. They even gave me a tutorial on how to unclog the toilet. So I buy the plunger, go home, unclog my toilet and YES! Success…. But then a month later it’s clogged and I don’t remember that I bought a plunger, or that a plunger is in the utility closet…. Maybe that wasn’t the best example. The point is, I had all these information and tools but it felt like a lot to remember and keep at the front of my head, and even with diligence, there were so many times that I forgot in the moment or I still couldn’t get myself to do the thing. I wanted it to be simple, or at least I wanted a simple first step TOWARD a solution. I needed a starting point, not another meme or platitude. I also knew from my personal experiences and research that good choices beget good choices. There’s a little truth to the saying “Breakfast is the most important meal of the day” but not what most of us think. The question isn’t whether or not to eat breakfast, but what breakfast are you eating? Breakfast is “the most important meal of the day” because it often sets the tone for the day, not only in dictating other food choices you make but also how you feel in your body, as well as in your mind and spirit, which can affect HOW you think and talk to yourself which further influences choices and even your hormones in your body. Yet I still wasn’t showing up to my bowl of oatmeal with a smile on my face. And even on the days I remembered and actually did those things (and I admit, I definitely got a good streak going there for a bit), it didn’t change my feelings about my oatmeal. They had some utility but mostly? I was still pretty poopy. I still struggled with feeling joy, or happiness, or just less depressed. I still had negative self-talk and a very loud, obnoxious inner critic and I knew watching another inspiring video on YouTube wasn’t going to do it for me. By happy accident or synchronicity, I came across a research study where dance had used for therapeutic expression. This sparked my curiosity and I started looking around for similar studies, specifically any research that involved dance, and found TROVES of them. Turns out, that in the last couple of years, there has been a huge study and inquiry into dance-as-therapy. At this point, we know dance works as a tool for social anxiety, depression, and self-bonding (interconnectedness), improved cognitive skills, but we don’t know why. Neuroscientists, physiotherapists, cognitive psychologists, social anthropologists are all working together to understand the mechanisms behind why dance works as a therapy---is it neurological (i.e. does dance stimulate some kind of happy neurochemical? ), is it a matter of quality of life (psychology), are cognitive changes happening within the body during dancing (cognitive psychology), is it the social element of dancing (anthropology)? Scientists want to know WHAT the makeup is of all those different changes which lead to the improvement in mood and well-being from dance. Fortunately, you and I don’t need to know WHY dance works to take action and get the goodness for ourselves immediately. We just have to take action. We just have to dance. This is where my study comes in. After testing this out on my self and soliciting feedback from a few of my private clients, I recruited 50 women to participate in a study with me. I didn’t tell them anything about it, except that they would have to commit 15 minutes of their time to me every day for 30 days. After they’d agreed, I told them they had to dance for 15 minutes, approximately 3-5 songs in the morning before they did ANYTHING else. Yes, this meant most of them got up a little bit earlier, but the results were SHOCKINGLY good. If you don’t like dancing, don’t worry neither did most of my participants. In fact, 61.6% reported they didn’t like dancing when they started BUT 92.3% said that overall, they enjoyed dancing the entire month and 66.7% said they planned to keep doing it in the morning. (38% said they liked it immediately, 27% said they liked it after the first week, the rest started to like it sometime thereafter… everyone came around for the most part). What I found very fascinating is that less than 10% (7.6% to be precise) found their hunger changed, and this is HUGE because most forms of “Exercise” and especially “working out” stimulate false hunger, causing you to overeat unintentionally, and that was not the case here at all. It also warmed my heart to read that 73% said they would strongly recommend this activity to a friend. For the full report, including the statistics of my subjects (i.e. 54% said they had depression in the past, 43% reported currently feeling depressed or that 33% lost weight during this study although they did not alter their diet) click here. There’s a lot of data there, more than I can summarize here quickly (and it is super fascinating). I also wanted to share with you this email I received from a participant after Day 1. [I live in Iowa, we had massive flooding last night here. Water in my yard rippedout outa 6’ High chain link fence, hubby helped people stranded on their cars using a garden hose. My sump pump worked overtime so my home is dry but after only 4 hours ofsleepI woke to a damaged yard full of debris, lots to do. I didn’t want to start my today, I woke exhausted, defeated and frustrated looking out my windows. My alarm was set for 6:30 and said “Dance with Lindsay”. Today is day 1, I could have easily started tomorrow. But I got out of bed and dancedlikeI’ve never danced before. It didn’t make the storm damage magically go away, I still have reality in front of me. But I feel strong and powerful, I feel energized and ready to tackle the problems in front of me. 15 minutes of dancing changed my frame of mind in a way I don’t understand. Bottom line: There is a growing body of scientific, peer-reviewed evidence that dance is a highly effective therapy tool for social anxiety, depression, increased cognitive skills (particularly in the elderly), reduce dizziness and vertigo, improved agility and physical strength, and improved self-bonding (interconnectedness). So try it. Most interestingly (to me at least) is how the benefits created from dance last even after you’ve stopped dancing. For example, even a week after the last dance, participants in one study still had a more positive mood than they had 12 weeks before. There’s no downside. Even if you have physical limitations, you can still do your own form of dancing. If you want to improve your mood, create a more positive connection to your body, make better good-for-you choices all day WITHOUT thinking about it, reduce depression and general malaise, dance 15 minutes first thing in the morning before you do anything else. Three songs. Getting into this routine was a bit quirky for me and here is how I approached it. I do this in my garage to be sure no one is watching ;) I play music from my car radio or I wear headphones. Let go. Let your body move wildly and freely. Get down with your bad self. Shake your body, do a seductive dance around an imaginary pole, dance like Elaine (that was Seinfeld reference). It will feel silly and awkward the first few times you do it. I still feel silly and awkward for the first song but then I let myself go. Think of it this way…. This isn’t a chore but a gift to yourself so you succeed all day in all the ways you want without thinking and trying so hard or having to remember all your tools. You’re starting on your day by taking time for yourself, caring for yourself and caring for your beautiful body. Come dance with me, connect to your inner most beautiful and truest person. It's only 15 minutes and you're more than worth it. This is your special time with you--and no one else. Free of the pains of the world, the to-do list, the chores, social media, and the feelings... you get to feel the rhythm instead. You’ve been listening to shortcut to slim, a research-based podcast brought to you by Happy Herbivore and Meal Mentor. I’m you’re host Lindsay S. Nixon and this is the conclusion of Season 2 where I brought you into the incredible world of mindset science and how your mind can affect what happens in your body and vice-versa. If you’ve heard something helpful, please rate this podcast on iTunes and share it with a friend.